 The City of Auburndale is committed to ensuring that all visitors and residents, including visitors and residents with disabilities, are able to access and use all of our programs, services, and activities. We recognize that many visitors and residents are increasingly using our website to access information about what we offer, and to take advantage of the website to obtain services. We also recognize that users of the website who have disabilities may use the website with the assistance of technology, including screen readers, as well as with captioning, transcripts, and the use of other auxiliary aids and services. As outlined below, we want to provide users of our website with information about what we offer, ways to inform us of any difficulties encountered, alternative ways we can offer the services, the time frame for doing so, and who to contact. We strive to ensure that our website will comply with WCAG 2.0 AA, but recognize that alternatives to using the website should be available in the event that a user with a disability encounters a problem using our website. Should you encounter such a problem, we urge you to contact our Communications & Information Manager, who will provide an alternative way to quickly obtain the information you are seeking to obtain through the website. The City of Auburndale recognizes the importance of offering an ADA accessible website to the public and is working to accomplish that goal. We are in the process of assessing our website’s accessibility, with the assistance of experts in web accessibility and in the mandates of WCAG 2.0. We will be engaging in efforts to identify and correct issues. If you discover issues while navigating our website, please contact our Communications & Information office so that we can correct any ongoing problems.